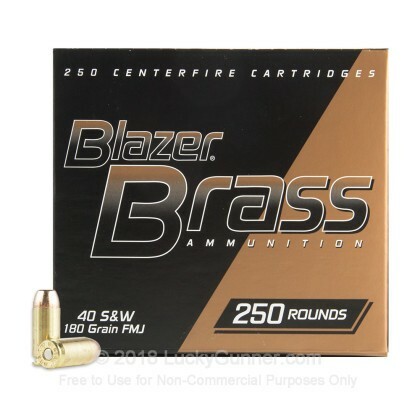 This .40 S&W ammunition from CCI belongs to the Blazer Brass series of reliable target loads. Each case contains 250 cartridges, enough to provide for a decent range session while giving you great volume savings. 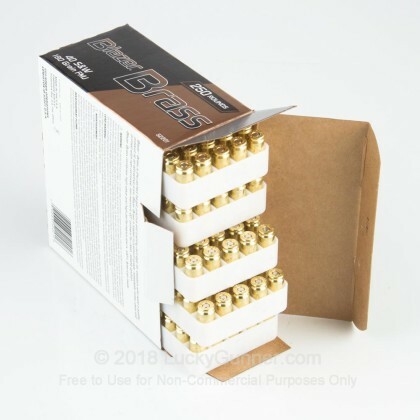 These cartridges are a great choice for M&Ps, Glocks, XDs, and other .40 Smith & Wesson pistols. 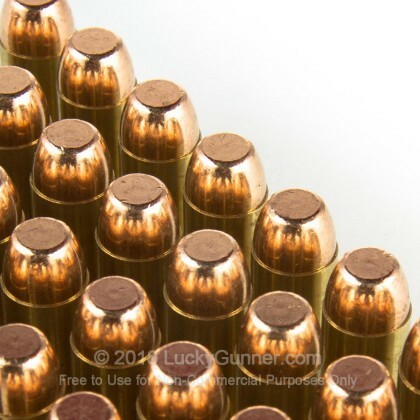 Each round fires a 180 grain full metal jacket bullet at nearly 1,000 feet per second, producing typical ballistics for the cartridge. 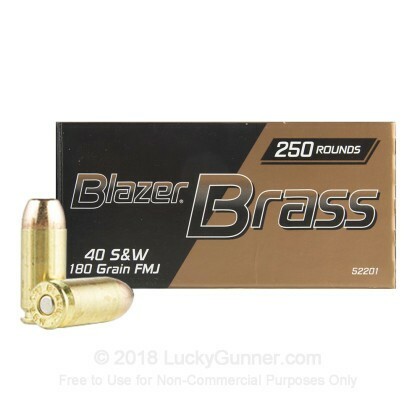 Like other entries in the Blazer Brass series, these cartridges use reloadable brass cases instead of the nonreloadable aluminum ones found on regular Blazer ammo. CCI is a division of Alliant Techsystems/ATK, a top defense contractor and owner of many notable brands in the ammo industry including Federal and Speer. 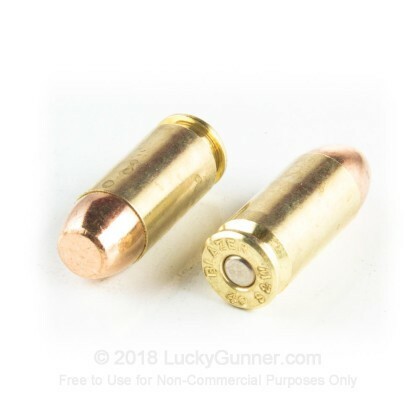 CCI is known for producing economical yet high quality centerfire ammo and primers (which are used in its Blazer ammo) as well as premium rimfire loads. Great ammo. great price. Came prepackaged in 50rnd boxes in white plastic containers. Will definitely be reusing the containers. Great place to get ammo.